Peter Francis Hart was born in Belfast, Ireland in 1840, the fourth son of John and Margaret Hart (née Morgan). From the age of 11 he started working for his father’s carpentry and coffin-making business. At age 19 he arrived in Sydney on the Palmyra on 7 April 1859, listed as a Roman Catholic and carpenter by trade. In a letter to his niece Annie Nolan dated 27 September 1915, he wrote that before leaving Ireland he saw his grandmother in Dublin who asked, ‘was I not a very little fellow to be going to Australia?’, to which he replied, ‘I mean to make a fortune there to keep my mother in her old age’. He married dressmaker Elizabeth Murray on 15 February 1865 at Berrima, NSW and they had two children, Peter Francis (Frank) and Margaret (Maggie). In 1885 Hart assumed guardianship over his orphaned nieces Margaret, Catherine and Mary Anne Hart. His daughter Maggie died of chronic pneumonia, aged 23, in 1895 along with his niece Margaret Fitzgerald (née Hart) nine months later. His wife, Elizabeth, died the following year on 6 July 1896 and in 1898 he married Ellen (Nellie) Gertrude in Brighton, Victoria. Together they had one daughter, Elizabeth Gertrude (Gertie) Hart. Hart died of heart congestion on 28 December 1917 at ‘Ulster Park’, Yarrunga (now Fitzroy Falls). His funeral was held at St Joseph’s Church at Newtown three days later and he was buried in the Hart family vault at Waverley Cemetery with his first wife Elizabeth, daughter Maggie and niece Margaret. Shortly after his arrival in Sydney in 1859, Peter Hart went to the gold diggings at Kiandra, NSW. After no success there, he went to Goulburn and Berrima and worked as a carpenter. Hart then moved to Sutton Forest and worked as a builder, completing his first house and sending a portion of his earnings to his widowed mother in Belfast. He also built the first public school in Berrima in 1869, and a public school at Moss Vale. In 1870 Hart also constructed Ulster Terrace which comprised 17 terraces built at 48-80 Station Street, Newtown. His properties eventually included Hart’s Buildings off Gloucester Street near Circular Quay and real estate in Surry Hills, Essex Street and Denison Street, Newtown. In 1882 he was recorded as owner of 1 to 45 and 8 to 40 Hart Street in Millers Point. He also owned the Butchery Building at 178-180 Cumberland St, Sydney, which he resided in 1892-1900. The Butchery Building and Hart’s Building on Essex St are considered of State Heritage significance as they ‘illustrate the range and diversity of small scale development’ in The Rocks area from the 1840s to World War 1. The Darling Harbour Wharves Resumption Act 1900 included Hart’s Millers Point and Essex St properties as well as the family home in Cumberland St. In a letter to his son Frank dated 8 February 1904, Hart said he ‘put a bit of energy to build the block in Essex so as to have something in old age, done with big overdraft and high interest. Cost 2700 pounds in new buildings’. Hart was never fully compensated for the cost of his properties. Hart lived in his three-storey stone house ‘Ulster Park’ at Yarrunga, which he built in 1881, and also at one of the Ulster Terraces at 70 Station St, Newtown. He worked as a builder until his death in 1917. Peter Hart may have been on the Committee for the Adelaide Jubilee Exhibition in June 1887. Peter Hart was Alderman of Newtown Council for the newly created Camden Ward in September 1886 until his retirement in June 1887. In 1872 he stood unsuccessfully for Sydney City Council as the representative for Gipps Ward. 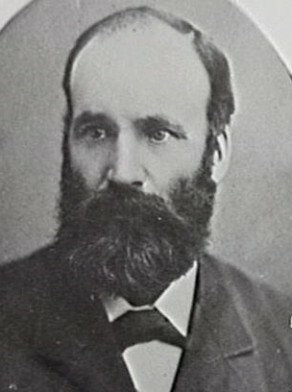 An advocate of municipal reform, he was elected Alderman for Gipps Ward for Sydney City Council on 23 May 1883, replacing Alderman James Merriman, and continued unopposed in the subsequent five elections for that seat until 30 November 1899. Between 1891 and 1895 he was a member of the Disposal of Refuse Committee, the Specifications and Tenders Committee, and the Height of Buildings Committee. He also sat on the Finance Committee, the Electric Lighting Committee, and the Garbage Disposal Committee in 1899.